Record Description On the OS Explorer map, Nanny Wardâ€™s Well is marked in blue and named as a spring. 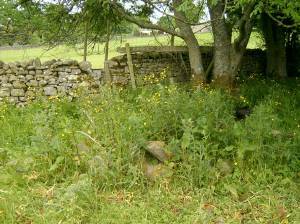 It is identified as being to the west of Grinton village, but its precise location isnâ€™t clear. Fortunately the OS 25-inch map of 1912 is more specific and marks its location very precisely at the junction of two footpaths. Itâ€™s where the path from the moor at Blue Ball, which descends the dale side roughly parallel with Grinton Gill, meets the path from the village running westwards across fields to meet Swale Hall Lane. At the junction of the two footpaths there is a spring but it is not the spring head. The water rises about 150 metres higher up the dale side, next to the path from Blue Ball. At the footpath junction there are the scattered remains of some sort of stone structure, possibly a small dwelling that might have been constructed over the top of the spring, or alongside it. 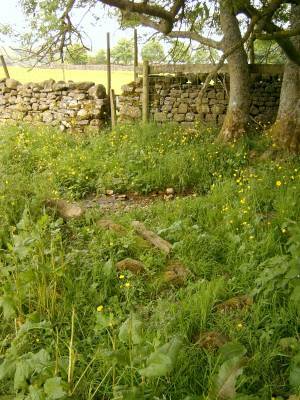 A few metres downstream the spring appears to join the mill race that once brought water from Cogden Gill to power the corn mill on Swale Hall Lane. Conceivably the structure at Nanny Wardâ€™s Well predated the construction of the mill race. But what was it? Perhaps it was a cistern for accumulating the spring water. And who was Nanny Ward? 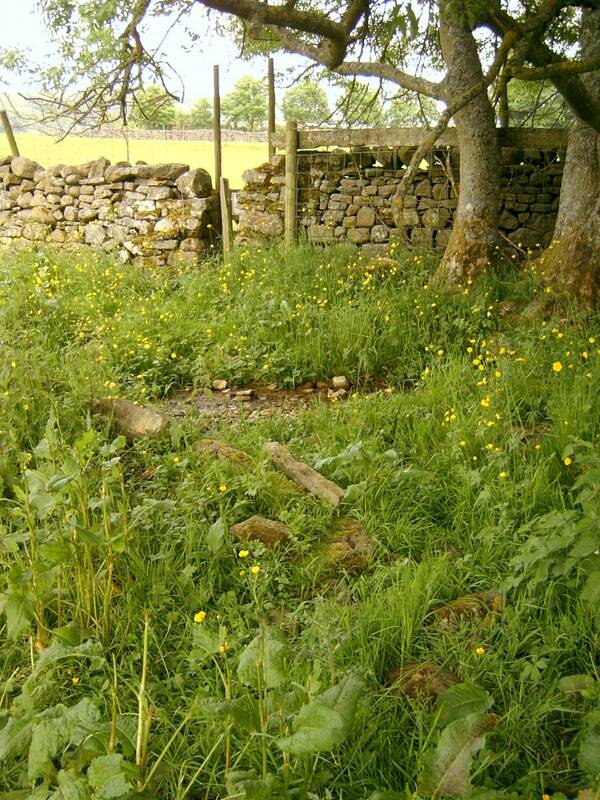 The name goes back to before 1857 when Nanny Wardâ€™s Well was marked on the first OS map published in that year. The OS surveyors gathered their information from local people. What did they say? Was she simply the purveyor of the cleanest water in town, or did she claim it to have special health-promoting properties? More investigation is required. Image 2 Description Another view of the site of Nanny Ward's Well looking eastwards, showing some of the scattered stone remains.